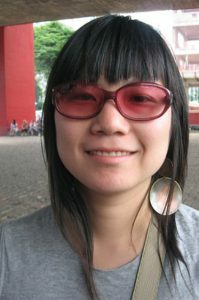 Chun’s practice includes creating works in video and installation. Using a whimsical and humorous approach, her work explores local narratives to examine the intersections and contradictions found in cultural, social and personal identities as a result of geographic relocation, and cultural multiplicity. Chun’s personal experience living in the Korean diaspora in Bolivia, and Canada, informs her work which reveals the idiosyncrasies found in culture, in its inconclusive and contradictory nature. 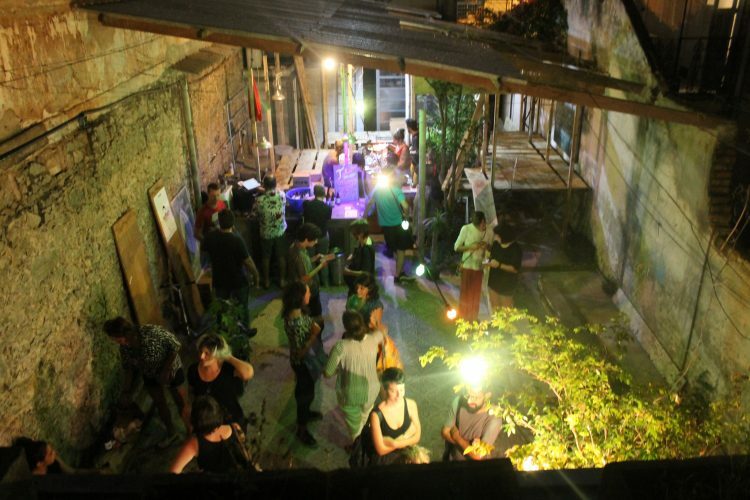 “The first edition of Archives of Resistance took place at Capacete in November 2016. 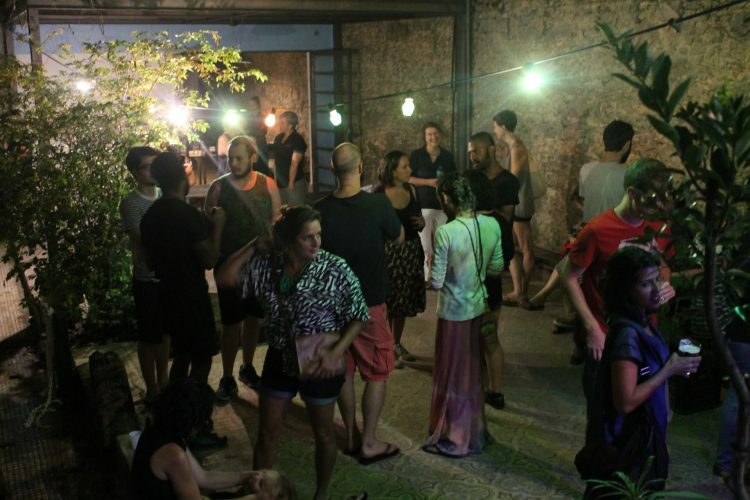 This project is multi faceted and aims to create an open dialogue between communities across the Americas facing various socio-political struggles as a result of historic processes of colonization that still dictates today’s global economic realities. Through contemporary art, invited artists shared their work informed by personal research and collected images, news items, and raw materials, which expand beyond traditional notions of archives and institutionalized documents that are categorized by hegemonic political powers. 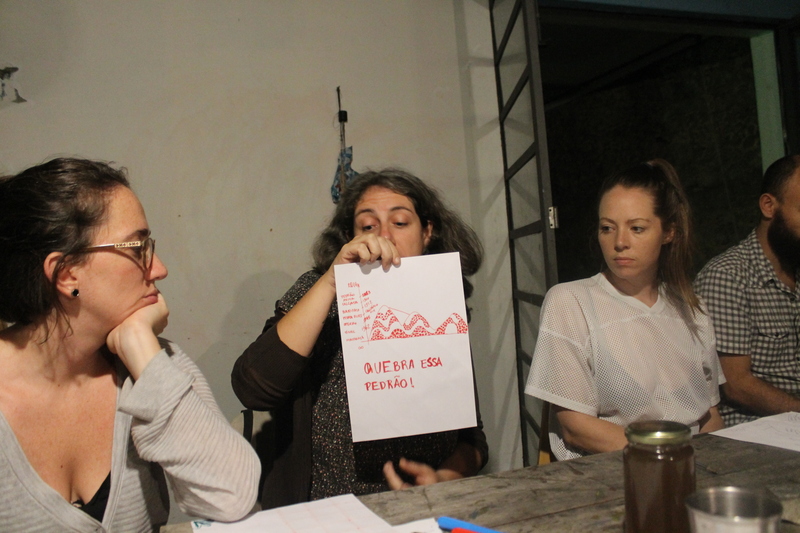 At Capacete, we brought together artists from Chile, Costa Rica, Argentina, Canada, and Brazil in dialogue by sharing their individual projects looking at the ways in which artists subvert or give new meanings to the colonial construction of history. Through personal or historical imagery, artists told alternate histories from the perspective of those that are often unaccounted for in mainstream versions of history. This first event Arquivos de Resistencia took the form of a week-long residency for invited artists, a video screening of their works as well as artist talks and group dynamic activities. 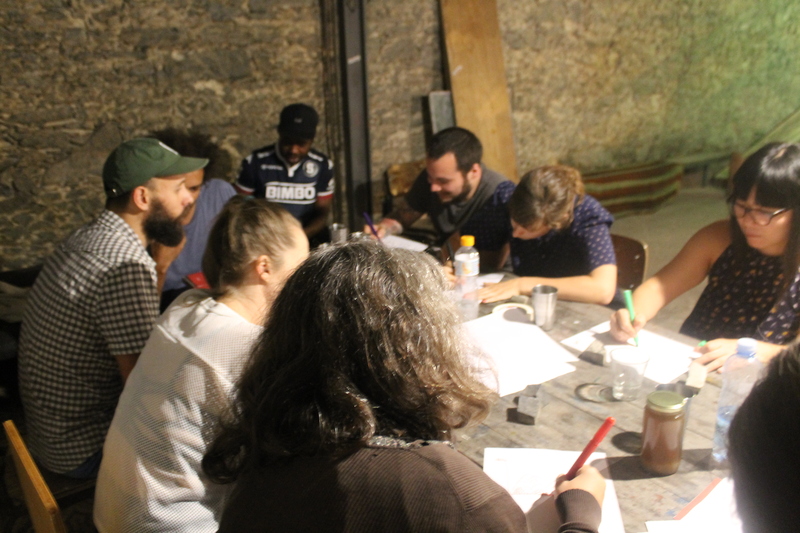 The group was further expanded through the participation of representatives from an activist group from the community of Horto whom invited the group for a tour of this community facing eviction and rapid gentrification of bicentenial residents, workers of the city’s Botanical Gardens. Participating artists in this project were: Marton Robinson (Costa Rica) who gave an in-depth historical context of Limon, Costa Rica in line with the narrative of Jamaican-descendents who were brought to Costa Rica as labourers and the rise of Marcus Garvey’s activism; Araya-Carrion, a Chilean collective that works with material archives to demonstrate the layers within the history of Colonization of Indigenous populations in the south of Chile; Cecilia Estalles, a queer Argentian artist who has been digitizing the first Trans archives collecting stories of Trans women who faced police brutality in the 1980s; and Canadian artist Joyce Wieland’s work that showed solidarity for left leaning artists and political activists. These artists were brought together by Capacete resident artist soJin Chun. Other residents that collaborated in this project were, Kadija de Paula, Ian Erickson-Kery, and Soledad Leon.